Making your yearbook theme shine isn’t just about choosing a fun concept. It’s also heavily dependent on how you weave your idea throughout all the pages of your book–it’s the implementation that makes your theme of choice a huge success. As you’re brainstorming the theme ideas that will dictate your publication’s direction for next year, there are several things you should consider in the process. Below, I’ll walk you through how to mold your idea to your school and where to showcase your theme throughout the yearbook to take your innovative concept from good to great. As you start to brainstorm new concepts and yearbook theme ideas, think about your school. When your theme fits the personality of your campus, it’s much easier to naturally incorporate your concept throughout the stories in your publication. For example, a “More Than Words” theme would be a great option for a visual arts school, because you could easily add unique artistic elements throughout the pages of your publication in a way that supplements your concept. A Dr. Seuss theme is an excellent fit for a preschool or elementary school yearbook, as you could use those same rhyming elements throughout your copy. Understanding how your theme ideas fit with the personality at your school will help you to determine whether you can effectively implement each concept within your entire publication. Before your committee starts a new feature, think about the different ways that your yearbook theme could be woven throughout the storyline. This can help you to come up with more applicable questions and concepts before assigning articles to your team, leading to more interesting content. For example, the quotes section of your “More Than Words” theme could integrate student-submitted designs that visually take their quotes to the next level. Your Dr. Seuss theme could incorporate silly, rhyming poems about the school year, which are written and submitted by each classroom. Putting in a little planning upfront will help you to weave your theme seamlessly throughout each of your features, while also bringing out more your school’s personality across your entire book. A fun way to incorporate your theme across your entire publication is to create a common element for your photos. This is most easily done through the use of a prop. For example, a plush hat, similar to what the Cat in the Hat wears, could bring your Dr. Seuss theme to life within all of your class photos. For your More Than Words theme, this photo prop could be a chalkboard easel, where students write something to supplement each of your pictures. The key to choosing an awesome prop is to find something that makes sense within your theme, that the kids on your campus can have some fun with. 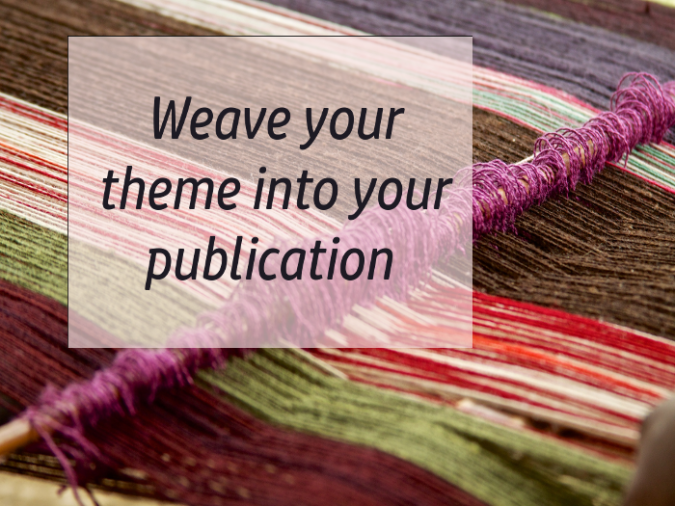 Cover: The first thing that your readers will see, your cover should be a direct visual tie-in between your theme and your school. 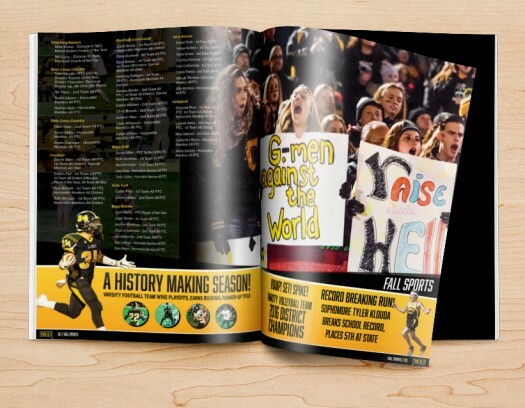 Headlines: Use font design, size, and color to evoke more of the idea behind your yearbook theme. Visual Cues: Find different supplemental images and graphics that support your theme for use throughout your book. For example, an “In Their Shoes” theme could include photos of the shoes that the students featured on particular pages wear. 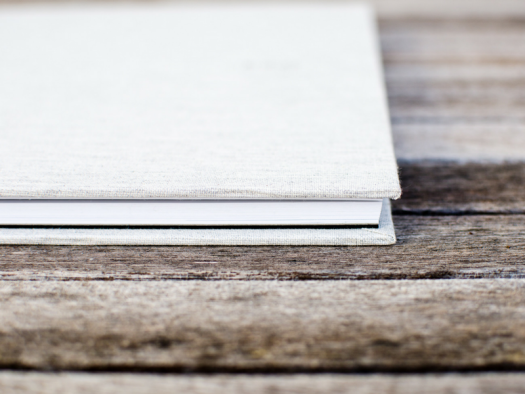 Layout: The layout, or template, of your book should reflect your yearbook theme in more subtle ways. A Dr. Seuss theme would be more visually focused with short snippets of verse, while a “Now You Know” theme would incorporate a more journalistic, magazine-style format. Think about how to best convey your concept across your layout before you start writing content, as this will affect the amount of space you have available for each story. 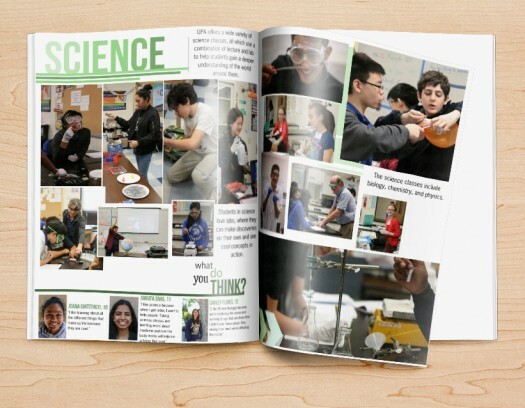 No matter what yearbook theme you choose, there are so many creative ways to work your idea into each page of your publication. To do this well, you just need to spend some time strategizing the best way to incorporate your concept up front. Follow these steps to success and when you’re finished, you’ll have a fabulous yearbook that keeps your theme front and center from start to finish!